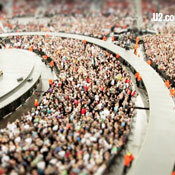 Subscribe to U2.com today and receive our current exclusive subscription gift. A rare live set from 1980, now digitally remastered and presented on double 10" vinyl in bespoke gatefold sleeve. 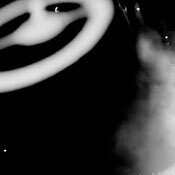 Recorded in a small club with just a few hundred in the audience, this rare live set comes from a period when the band were taking early songs like The Electric Co, I Will Follow and Out of Control on the road across Ireland and the UK. 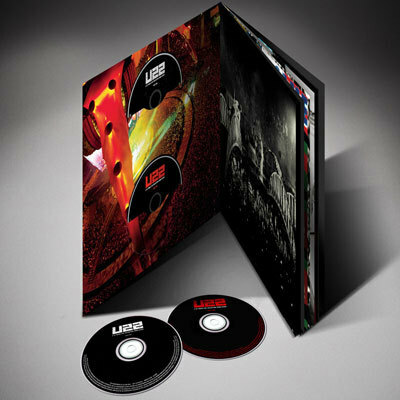 The ideal companion to North Side Story, the definitive account of the band's Dublin rise from Out of Control to Under A Blood Red Sky, this limited-edition release is only available to U2.com subscribers. Will this be re released? I would like to get a copy. As soon as you listen the first couple, you will realize how brilliant it is this CD. And I have to say also that suddenly I got realized that I had found the CD what I was looking for and I wanted to drive home to in the evening after a long day at work. But the more I listened to the album, the more I realized that the real stars are the final seven songs. That last songs are very soulful and bluesy. Regarding the book, the only thing that I can say is "it's beautifully done", the pictures themselves are impressive. All I Want is: play the CD again and again. By the way, I'm from Mexico City and only took seven days to arrive the CD. Regards. Still haven't found what I'm looking for! nothing has arrived in Melbourne. I think I have been forgotten. So sad! I coudn'thelp crying while listening to it. Seeing the picture of Morumbi Stadium was great too. Thanks a bunch!! I received my gift in Santos,Sao Paulo, Brazil !! Very, very nice the U22 !!! The pictures album and the CD's are simply the maximum !!!! Thanks a lot, my friends !!! 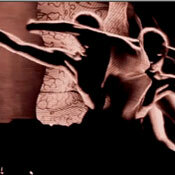 I'm waiting the next weekend, the concert in Sao Paulo !!! 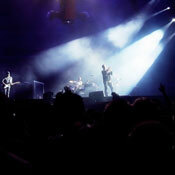 The 3ª time that I saw an U2's concert in Sao Paulo !!! Simply The BEST !!!!!! i'm still waiting here in Puerto Rico.... where is my copy???????????? My U22 took to arrive, but I loved my gift U2.com. I loved hearing the songs again and enjoy the magical moment that I lived with my wife during the two show we saw in Sao Paulo, Brazil. Indeed, the U2 is the best rock band in the world. How to explain all the love we feel for this band here in Brazil especially in Sao Paulo ... All we want is U2 ... You left us so close to the band today .... 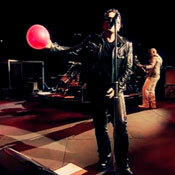 I'm excited to watch our show on the web 360° from U2's official website. Kisses for all!!! Finally Arrived to Culiacan, Mexico. Absolutelly Amazing!! Friday July 13th wasn't "BAD" at all!!! Arrived in Velserbroek, The Netherlands! Many thanks for such a great gift, all 22 soundtracks are awesome and it's bringing many memories back of the four gigs we have attended in 2009 and 2010. 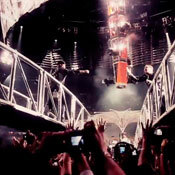 It's U2 who's given all fans a great life!! Listening to 'I Still Haven't Found What I'm Looking For' live from JHB where I saw the show just bought goose bumps all the way down my spine AGAIN! The best band in the world bay a million miles! Thanks for giving us a good life!!!! I got my copy yesterday. 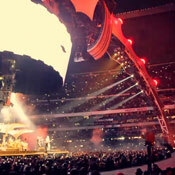 It brings back all those great memories from the 360 tour. Awesome. I get goose bumps every time I listen to the 2 cd`s. Brings back wonderful memories of the shows in Montreal and Moncton. Can`t wait to see you again!! U22 in the Netherlands Alphen a/d Rijn just great!!!!! Just read comment about horn playing, WHAT are you on about man?? Have heard this song in home of ABB (Croker!) in 1987 on Joshua Tour and haven't smiled as much as when i heard horn version. Pure class how the lads can keep reinventing songs, didn't like Crazy Tonight version at concert on hearing it on night cause wanted to hear album version but crazy!! about it since. If you want to hear studio version, stay so close far away at home, listening to a, well, a sort of homecoming version! Well done Mr. Mesekela! Thank you so much again! One Tree Hill Croke Park '87,Streets EVERY concert, thanks for Ultra Voilet, any chance of Lady With Spinning Head mixed in?? Bad my favourite sing song song, love them all. Thought last Duals was the best but it has been surpassed!! Good on ye lads and any chance of a gig in Mayo?? My kids Katie(5) Patrick(3) and Michael(1) cant stop bopping in the car! Go raibh míle maith agaibh!!!!!!!!!!!!! I got my copy today! (finaly) and i love it!!! I love the Zooropa track!!! 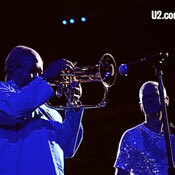 U2 must play live! That is what they do best!! Thx!! Already listened U22 thousand and thousand times... where can we download unknown caller ? Now I am listening these 12 tracks, Wow is good for my soul. 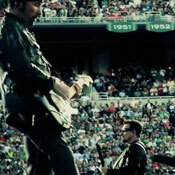 U2 for ever and ever my from Argentina with LOVE. The cd's are awesome. I love that you cannot tell when the track changes from one song to the next. It's like all of the songs are from the same show.